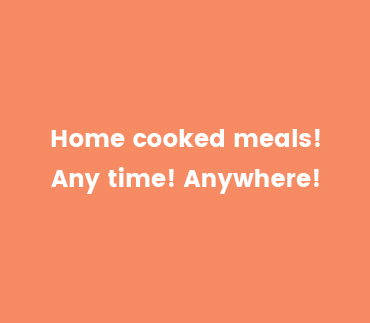 Home Cooked Meals Anytime! Anywhere! Every day we are cooking delicious meals for our family and friends. Now with Meals Around you can make extra cash just by cooking 1 or more extra serves. Meals Around! Cook it! Sell it! A period of neglect. Dormancy. Slackness. Call it what you will. This miniscule corner of the web still has some life. I'd like to make it sputter again from time to time. What makes Vietnamese food so special? We have not launched in your area just yet! We will notify you as soon as we are ready to go in your town, city and country. Meanwhile get ready to Search! Choose! & Deliver! PLEASE READ THESE TERMS OF SERVICE CAREFULLY AS THEY CONTAIN IMPORTANT INFORMATION REGARDING YOUR LEGAL RIGHTS, REMEDIES AND OBLIGATIONS. IN PARTICULAR, SELLERS SHOULD UNDERSTAND HOW THE LAWS WORK IN THEIR RESPECTIVE CITIES. SOME CITIES HAVE LAWS THAT RESTRICT THEIR ABILITY TO SELL FOOD FROM THEIR RESIDENCE. THESE LAWS ARE OFTEN PART OF A CITY’S ZONING OR ADMINISTRATIVE CODES. IN MANY CITIES, SELLERS MUST REGISTER, GET A PERMIT, OR OBTAIN THE APPROPRIATE LICENSE BEFORE LISTING A FOOD PRODUCT OR ACCEPTING A FOOD ORDER. CERTAIN TYPES OF FOOD MAY BE PROHIBITED ALTOGETHER. LOCAL GOVERNMENTS VARY GREATLY IN HOW THEY ENFORCE THESE LAWS. PENALTIES MAY INCLUDE FINES OR OTHER ENFORCEMENT. SELLERS SHOULD REVIEW LOCAL LAWS BEFORE LISTING A FOOD PRODUCT ON MEAlSAROUND. To reset your password, please enter the phone number for your account. A password reset code will be sent to your phone number.